WOW-nearly 2 acres in Heathrow with a separate private guest house with kitchen and laundry room! Huge price reduction on this private resort-style oasis!! 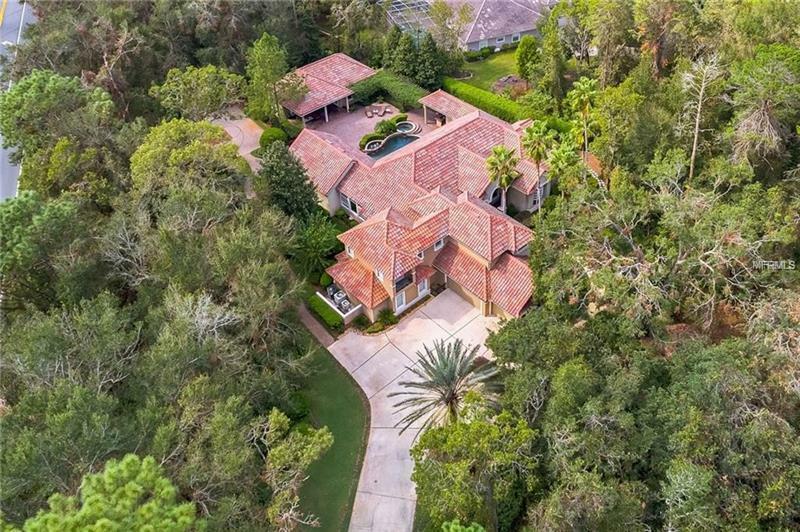 Over 6700 square feet this secluded and completely custom estate sits on nearly two acres of meticulously landscaped paradise centrally located in Heathrowâs premier golf community with 24/7 guarded access. A true one-of-a-kind property this palatial compound boasts 8 bedrooms 6 baths. The outdoor living space surrounding the pool and spa is an entertainer's dream come true!! This home is a MUST-SEE!! As you pull into the private extensive driveway on your way to the over-sized side-entry three car garage complete with ample storage you will be welcomed home by breathtaking scenic views. Youâll step into formal dining and living areas adorned with authentic oak. Your 42â hand-crafted wood kitchen cabinetry coupled with stainless steel appliances and custom granite counters will make you're the toast of the neighborhood. Step through the pocket sliding doors and relax alongside the most breathtaking pool/spa and summer kitchen youâll ever see including a stone waterfall and Jacuzzi. Your guests will fight to enjoy your lighted basketball court and chipping green. Every room features a stunning view without compromising privacy while a whole-house generator guarantees that youâll continue to live in luxury even in the harshest of weather. Welcome home!This property may be under AUDIO/VISUAL SURVEILLANCE.